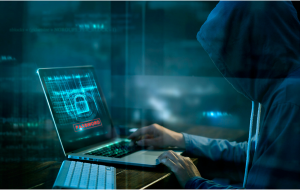 Don't Let Cyber Criminals Outsmart Your Smart Technology | Roland Dumont Agency, Inc.
For a number of years, businesses have had the option to purchase cyber liability insurance. This type of coverage protects them against threats like malware attacks, cyber extortion, online fraud, and data breaches. In fact, this coverage continues to be one of the most discussed areas of commercial insurance, as business owners realize no matter the size of their business – or the type of business they operate – all business are vulnerable to cyber attacks.